When you look for an accomodation in Pavia you may look into the accomodation run by EDiSU, our agency for the right of study, or for an independent accomodation. Halls of residence run by the EDiSU and colleges of merit. 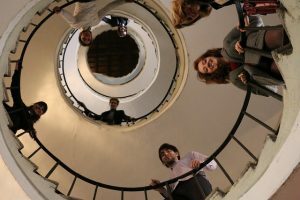 The University of Pavia is renowned for its network of university halls of residence run by EDiSU, our right of study agency. In addition to the residential service, they offer teaching, leisure and training facilities/tools. There two kind of halls of residence: colleges of merit and halls of residence run by EDiSU. Studying in a College of merit means having available high-level facilities to support the whole university course. In order to be admitted to a college of merit, students have to take part in a competition and in order to keep a place in the College they have to annually meet the high performance requirements. Living in a College gives the opportunity to meet students from different countries, participate in tutoring and cultural activities reserved for pupils. Particular attentions aimed at students with disabilities; in some of the facilities home automation rooms are available, specially equipped with aids and technological solutions which promote autonomy and safety. Admission to EDiSU colleges is through a public competition, which announcement is published every year on the Institution’s website.